Giovanna Zoboli and illustrator Simona Mulazzani team up to create a peaceable kingdom, with handsome animals and large, richly saturated pages. In THE BIG BOOK OF SLUMBER, the animal world beds down—camels on bunk beds, a snake on an elongated twin bed, a monkey snug in the treetops next to his banana. What I appreciate most about the book is how easily worlds flow together—human and animal, fantasy and reality—just like dreams themselves. 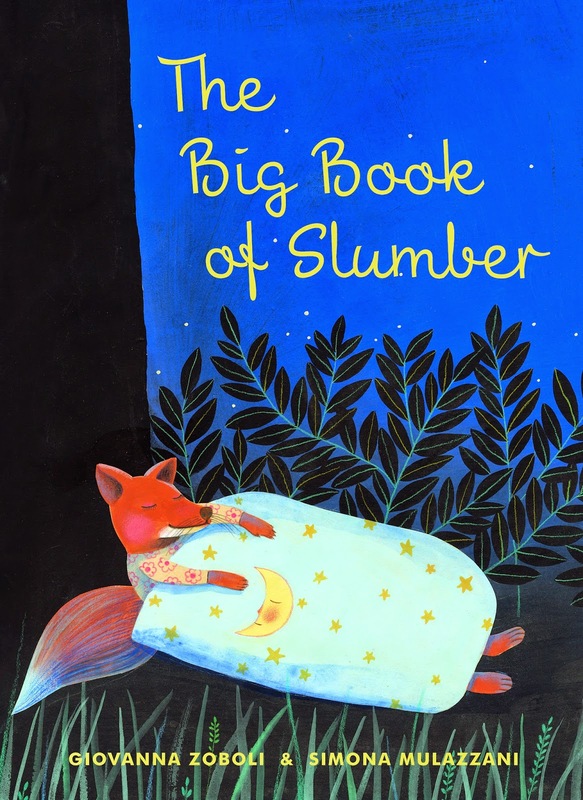 THE BIG BOOK OF SLUMBER, with its graceful rhythm, is just what a lullaby book should be—lyrical, cozy, and reassuring. Thank you to Eerdmans Books for Young Readers.